I have been so busy since I arrived in Toronto on Thursday morning that all I could do are basic tweets, post some images via Instagram, and write a few quick film review updates at Awards Watch. It is just past midnight Saturday night and I have seen five of my 14 films thus far. 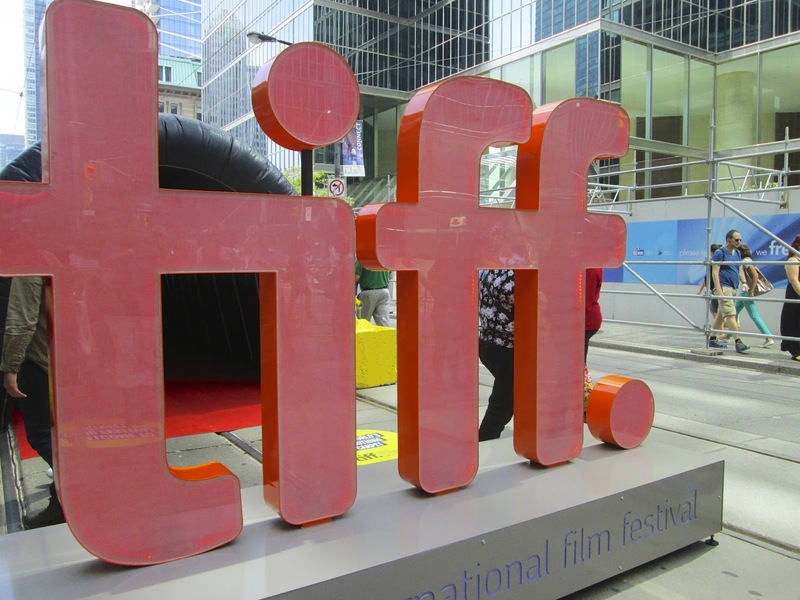 I am thrilled and happy to be in Toronto for my 11th TIFF trip and the organizers of TIFF continue to pull up all the stops and put on a great event for visitors and the talent. I have seen Sunshine Superman(Thursday), The Clouds of Sils Maria, The Drop, Nightcrawler (all on Friday), Ruth & Alex, and The Face of an Angel (these two on Saturday). Both 'Sunshine' and 'Sils Maria' were great films, with the former being a documentary. 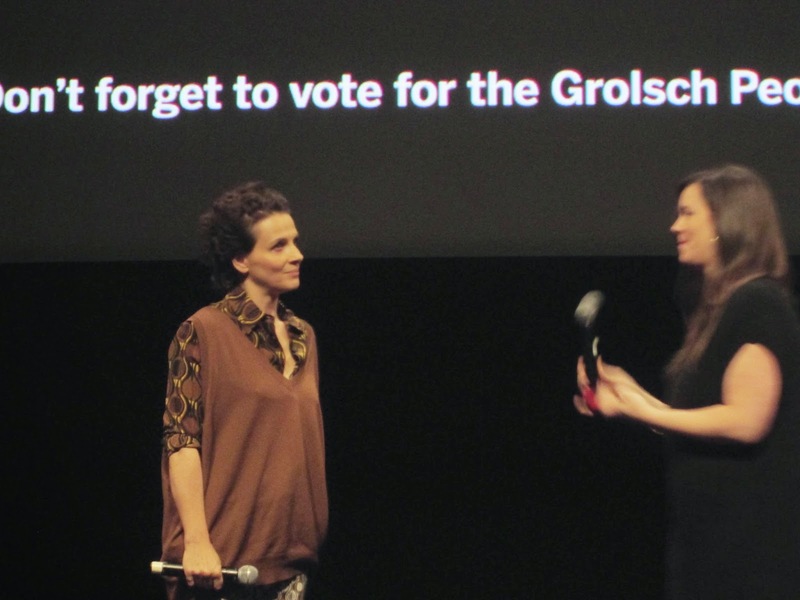 It was nice seeing Juliette Binoche do a Q&A afterwards, she is very smart, talented, and lovely. The Drop started over 25 minutes LATE, prompting me to exit it earlier so that I can go across town from Princess of Wales to the Elgin for Nightcrawler. Then a thunderstorm hit Toronto and I got soaking wet while standing out in the rain for an excessive amount of time outside of the Elgin. My frustration with the surprise rain was heighten when I got inside the theater to see that 60% of the prime seats were RESERVED for sponsors and special people. This was ridiculous and highlighted a concern of mine regarding TIFF last year with each passing year revealing a pandering to sponsorship for special presentations and leaving the commoner movie fan relegated to the side and less ideal seats. The seating at the Elgin for Nightcrawler was so bad, I took a picture of the reserved seating. 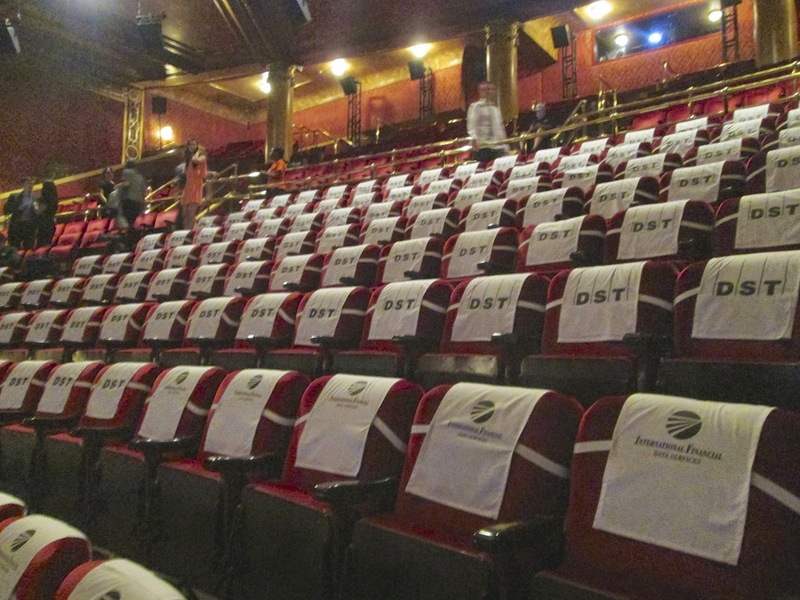 A section of at least 300 seats reserved for sponsors - in this section alone. With so many seats reserved for special guests and sponsor groups (in the balcony and on the lower level! ), why not just have a private screening for those folks? This pisses me off! They get the best seats in the house! Along with being cold, wet, and desperately finding a good seat, I was very glad that Nightcrawler was a great film. Jake Gyllenhaal is a fine actor and he played a creepy sociopath with perfection. And on Saturday, the day started off Ruth & Alex, a wonderful, warm, funny, and sentimental film starring Morgan Freeman and Diane Keaton. 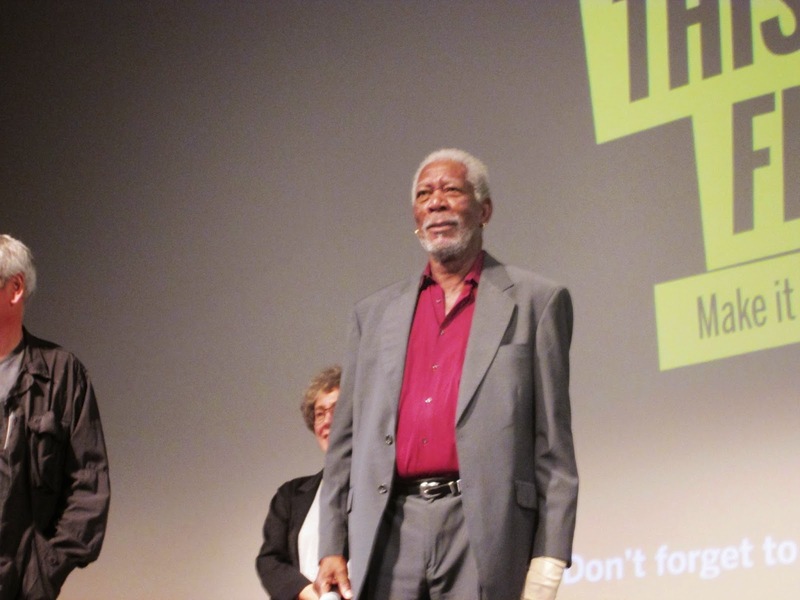 Afterwards, Morgan made a surprise visit and he was met with a standing ovation. It was really sweet. And later in the day, I watched The Face of an Angel directed by Michael Winterbottom and starring Kate Beckinsale and Daniel Bruhl. I thought the film was going to be about that Amanda Knox murder trial in Italy. But the plot was focused on Bruhl's screenwriter character who was assigned to write about the trial to make it into a movie. So it was a movie about a real-life crime being written into a movie. Bruhl's character suffers from drug abuse and becomes paranoid due to his writer's block during the trial. The applause after the film was tepid and I didn't stay after for the Q&A, even though I briskly walked into the theater with high anticipation for this film and the Q&A and sat in the front row. If I don't like a movie, I'm no longer interested in the Q&A. Director and cast of Face of an Angel. Although I have complained, again, about the HungerSeating Games shenanigans of TIFF, the organizers went all out in blocking off 4 blocks of King Street so that festival goers could have more room to walk around that area. It's safer, spacious, and allows more access for fans to gather and watch the celebrities on the red carpet. There's still not much improvement for all the actual ticket holders to watch the red carpet, and that's why it's all the more important for talent to do Q&As if just for the PR and audience interaction. For Sunday, I am seeing The Riot Club and Theory of Everything. And on Monday, The Equalizer, and Mr. Turner. My next update will be posted later on Monday. Meanwhile, continue to follow my tweets and Instagram.